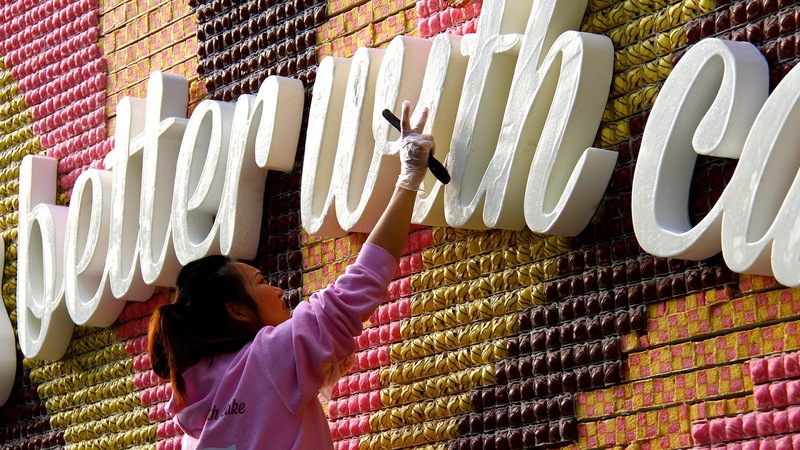 This is the first edible billboard and we are excited just to be seeing it! 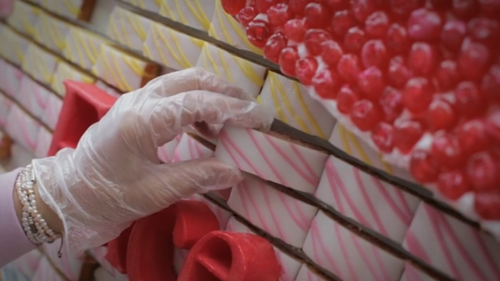 In total it has about 13, 360 mini cakes sealed perfectly onto the frame. 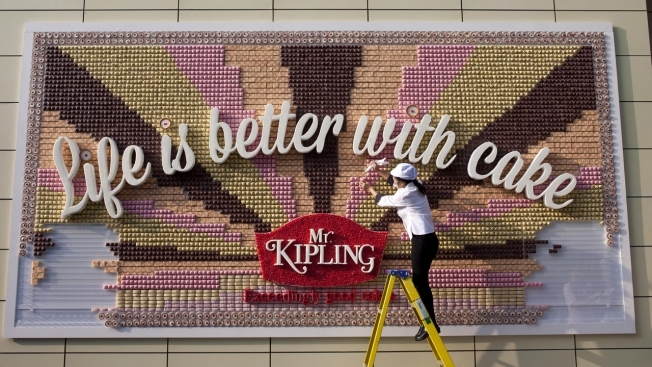 British confectionery brand Mr.Kipling and agency JWT London are the geniuses behind this beautiful gift to the world. Since they are leaders who understand how things should work, they let everyone lucky enough to be near the billboard, at a mall in London, also participate in tasting the lovely goods as they passed on by. Having pedestrians eat off the billboards contents made it even more of a win, as the billboard started to disappear. This gesture was also quite selfless as creating it took more effort than the usual kind of billboard we get today. The use of 13, 360 cakes took approximately seven hours, assembling, primping and coiling each one to perfection. Even with the help of a professional food artist like Michelle Wibowo, whose credentials include making a portrait of Prince William and Prince Geourge out of 16, 074 triangle pieces of Toblerone chocolate, this was still a heavy and fragile task at hand. So, if this isn’t the best billboard in the world I don’t know what is. Cake rules over everything! 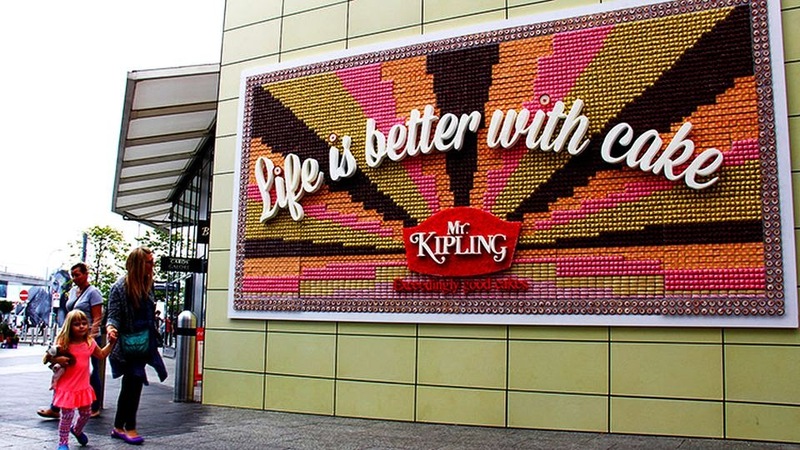 More billboards should be made edible, for that quick lunch break at work when your pockets are low. http://www.frontseat.co.za/wp-content/uploads/2015/09/frontseat-logo.png 0 0 mulalo siminya http://www.frontseat.co.za/wp-content/uploads/2015/09/frontseat-logo.png mulalo siminya2015-05-19 12:58:002015-05-19 12:58:00Edible Billboard! Yes Please!